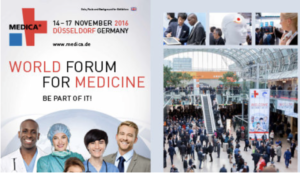 Mofixx is presented at the 'International Traide Fair for Medical Technology MEDICA 2016' 14-17 November 2016 Messe Düsseldorf. You can find Mofixx at the Holland Paviljoen in Hall 15 in a booth combined with Mofixx' development partner Indes. Come visit Mofixx in Hall 15 booth 1SF55!